YouTube is blocked in some schools' library or by some countries' administrations. We can find and set a proxy for our web browser so as to access to the blocked YouTube videos, but then another problem comes, how to download blocked YouTube videos since many downloaders don't provide the option for proxy settings. Now we use the proxy settings of YouTube Video Converter to download blocked YouTube videos. 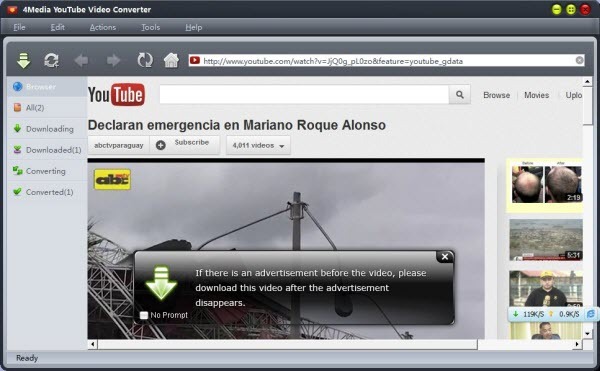 Download and install YouTube Video Converter on your computer. Here I use a windows computer. Launch the program, and go to Tools>Settings on the menu bar. The settings wizard opens. Enable the proxy tab. Click the "Use the following proxy server" option, choose the proxy server type, and enter the address and port of your proxy server. If necessary, enter the user name and password. Then click the OK button to save the settings. Return to the main interface. Now you can watch the YouTube videos with the inbuilt browser. 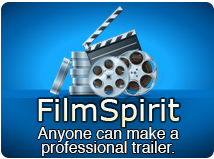 A dialog pops up on the YouTube screen. You can download in in HD quality or default quality when the download button is available.